Screen shot from Training Peaks. I only had 1.5 hours to ride this morning. 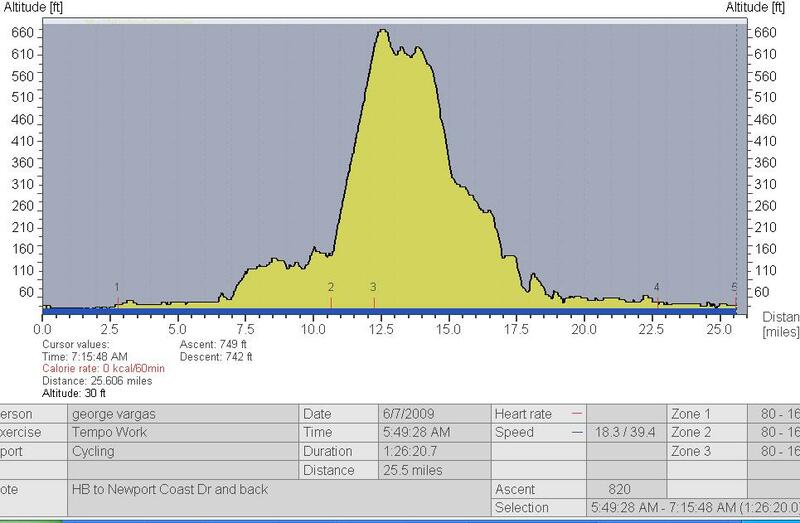 I did a 25 mile loop that took me on fairly flat terrain before and after a 1.5 mile hill (Newport Coast Dr) that gains 472 feet with an average grade of 6% grade. After the crest there is a 5.2 mile (San Joaquin Hills) rolling descent. It requires a lot of work to keep the watts up on the descent which in the end hurts your 60 minute number. But it’s a good little game to play trying to keep the power up on the descent. My Normalized Power was 233 watts for 60 mins. My weight was 150lb or 68.04 kg. My 60 min peak number was 3.42 w/kg. Based on the Power Profile Chart that is right between the top range of Cat 4 (3.38 w/kg) and the low range (3.47 w/kg) of Cat 3. 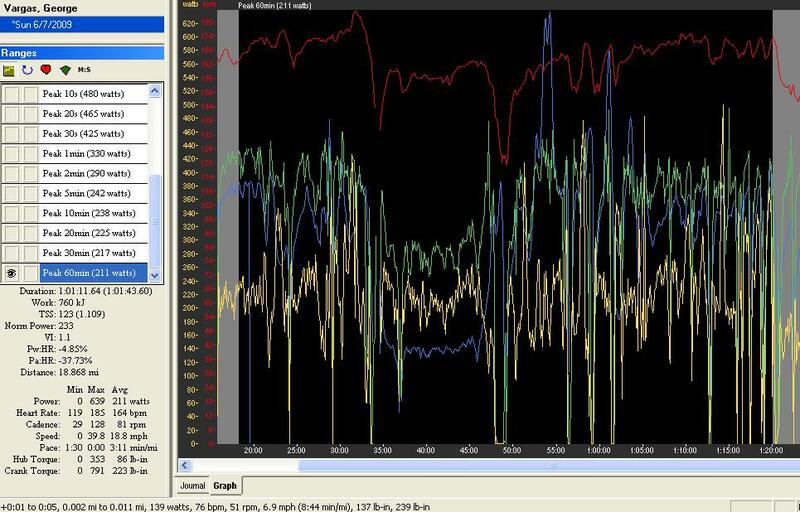 This entry was posted in personal records, power charts, Training by REV Cycling Directeur Sportif. Bookmark the permalink.